Biotene Dry Mouth Toothpaste | Glaxosmithkline Plc. Brushing with Biotene Dry Mouth Toothpaste, with its unique Bio-Active enzyme system, is a simple way to maintain the health of the patient’s mouth. 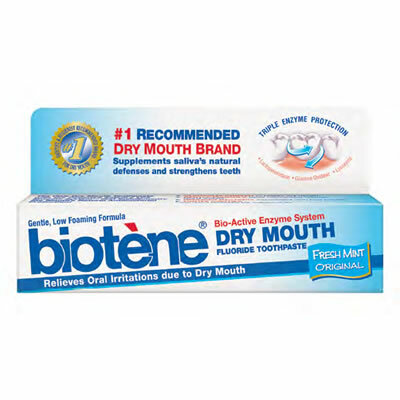 GSK also offers Biotene Sensitive Toothpaste, which combines Biotene’s unique dry mouth triple-enzymeprotein system with an FDAapproved desensitizing agent.